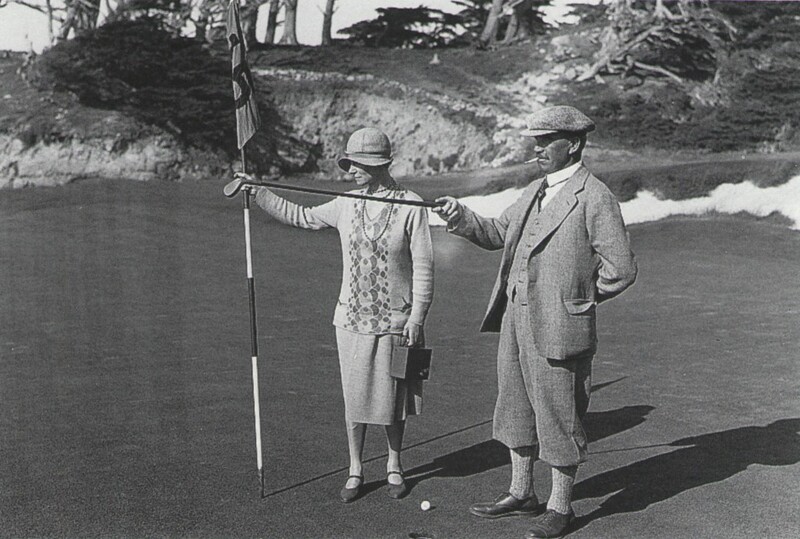 Alister MacKenzie and his wife, Hilda, on the fifteenth green at Cypress Point. 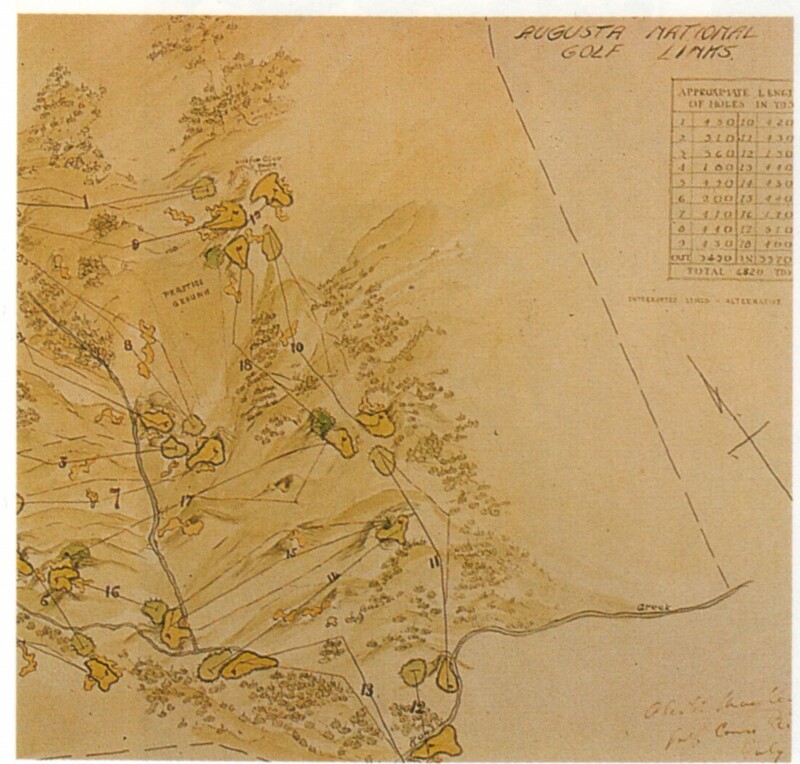 Obsessive students of golf architecture should file away the latest revision of a comprehensive chronology of the life of Alister MacKenzie, the designer of Augusta National, Cypress Point, Royal Melbourne, and a number of other courses worth scheming to play. The chronology is the work of Neil Crafter and the AM Research Team, in Adelaide, Australia, and it contains contributions from many people (including, in a very small way, me). Crafter, in a cover note, writes, “Sean Tully in San Francisco and Bob Beck in Santa Cruz have been most diligent in researching Mackenzie’s time in the USA, and Bob has unearthed records from Cypress Point that show when Mackenzie stayed overnight in the clubhouse and even what he ate for his meals! It is staggering that 80 or more years on we can get down to this level of detail about the life of Alister Mackenzie.” Even if you feel you already know everything you need to know about MacKenzie’s diet, the chronology contains many interesting facts. Incidentally, the images above and below also appear in my book The Making of the Masters, which is now selling on Amazon for practically nothing. Below is MacKenzie’s original watercolor sketch of the routing of Augusta National. In it, the holes are numbered as they are today. MacKenzie later switched the nines; the club, after the first Masters, switched them back, because the current first nine thawed first on frosty mornings. Note the 90-yard 19th hole, near the clubhouse, squeezed between the 9th and 18th greens. MacKenzie explained the idea in a letter to Clifford Roberts, the club’s founding chairman: “Bobby Jones and some of the other directors thought it might be interesting to have a real 19th hole so that the loser could have the opportunity of getting his money back by playing double or quits. This 19th Hole will be an attractive plateau green, narrow at one end where the flag will usually be placed but wide at the other end so as to give a safety route to the player who has not the courage or the skill to pitch to the narrow end of the green.” The club, in those days, didn’t have the money to build it, and Jones and Roberts, in any event, worried that it would block the view of anyone in the clubhouse who was trying to watch whatever was happening on the 18th. Cool idea, though. This entry was posted in Architects, Golf Courses, Masters, Tour Players, Tournaments and tagged Alister MacKenzie, Augusta National, Bobby Jones, Clifford Roberts, Cypress Point, Royal Melbourne by David Owen. Bookmark the permalink.